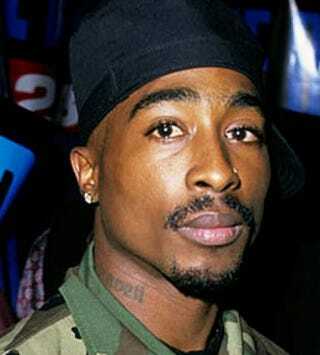 What Were Tupac Shakur's Dying Words? According to a police officer who was among the first on the scene of the fatal drive-by shooting of Tupac Shakur in Las Vegas in 1996, the poet and rapper's last words were, "F—k you." Officer Chris Carroll told the british newspaper The Independent that he was one of the first to respond to the shooting, which occurred after a Mike Tyson fight at the MGM Grand. Before leaving the hotel-casino complex, music producer Suge Knight and Shakur, who were together, were involved in a violent fight with someone else that was captured on videotape. Shortly after leaving, Knight and Shakur were ambushed as a vehicle pulled up alongside Knight's black BMW and shots were fired into the BMW. Carroll was the officer who pulled Shakur from the car. "I’m looking at Tupac, and he’s trying to yell back at Suge, and I’m asking him, 'Who shot you? What happened? Who did it?' And he was just kind of ignoring me … He looked at me and he took a breath to get the words out," Carroll told the website. "I thought I was actually going to get some cooperation. And then the words came out, 'F–k you.'" "After that, he started gurgling and slipping out of consciousness," Carroll said.